At Coquille Valley Hospital (CVH), our mission is to serve our community with the utmost in patient care and service. Our slogan says it all, "Your partner for a health community". The hospital's goal is to provide high quality services for the communities that it serves. That primary service area includes the Oregon communities of Coquille, Myrtle Point, Powers, Bridge, Fairview and a number of neighboring communities within the Coquille River Valley, comprising a population of approximately 12,000 to 13,000 residents. 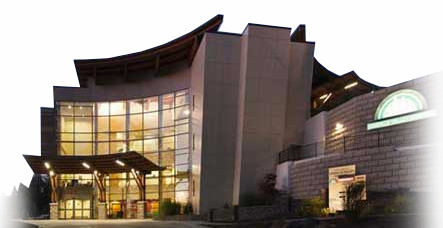 Coquille Valley Hospital provides a comprehensive range of surgical services. Dedicated to quality care and patient safety, CVH surgeons utilize the latest technology, innovative techniques and tools to achieve the greatest outcomes possible. In addition to our established inpatient surgical capabilities, we offer a wide range of other clinical services. Coquille Valley Hospital provides Emergency Medicine services 24 hours a day, 7 days a week with highly trained and professional physicians and nurses. With a Level IV Trauma Certification, clinical excellence and continuous improvement are at the forefront for the Emergency Department team. Providing compassionate competent care in minutes, not hours while keeping the environment patient-focused contributes to a healing experience or, if needed, a transfer to a higher level of care via ambulance or air.